In 2005 an initiative in radiology training with few or no precedents started: the project called Radiologiavirtual (Virtual Radiology) was coordinated in its early years by Doctors Alejandro Beresñak and Rodríguez Javier Recio. Since the beginning of 2010, I have the privilege of coordinating the activities of this project, first with Doctor Jorge Picorel and currently, with Dr. Luis Fajre. I would like to thank former Presidents of the CIR, Doctors Rodrigo Restrepo and Oswaldo Ramos, and the current president, Doctor Gloria Soto for their confidence in us during these years. I also thank Doctor Soto for the opportunity to address the whole community of the CIR with these lines. Currently, Radiologiavirtual is an important learning and updating model for radiologists, residents and professionals of other medical specialties. Its events or regular educational activities such as virtual congresses, interactive courses and meetings of teaching hospitals are increasingly gaining more acceptance among its users. Its educational platform, www.radiologiavirtual.org, had earlier this year 23493 registered users, with a monthly average of 260 to 450 visits a day during 2012, which increased to 620 to 1080 during the interactive courses of “from head to toes” echography. 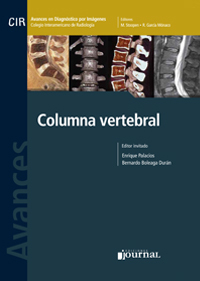 Radiologiavirtual is a free-access service to the community whose success basically stems from the altruistic collaborators of editors and coordinators of events and, above all, of the lecturers that have participated. Thanks to them, Radiologíavirtual currently has a large training database. In order to mention some of the content, there are 587 virtual conferences, 582 clinical cases and 129 radiological protocols. We would like to promote these contents during this year by granting a faster and more flexible access for CIR members so that we have a virtual and interactive library for our constant training according to our needs. This year we also have to organize the 5th Virtual Congress of Radiology, which is planned for the fall. We hope that with everybody’s help this will be one step forward as regards the participation levels and the educational success that we are achieving. Despite the fact that we could never replace face-to-face contact among professionals, we intend to introduce some small changes that, in some way or another, would make the virtual world more similar to the real world of congresses. Finally, I would like to point out what is, perhaps, the most important thing. It is essential that all radiologists of those societies that are CIR members get acquainted with Radiologiavirtual and consider it “theirs”. In this sense, the role of member societies as a means of communication is paramount. We are a large community of radiologists with many kilometers between us. Let’s make full use of the possibilities of on-line contact that Radiologiavirtual offers. Let’s make it our educational meeting point. At the European Congress of Radiology - ECR 2013, Drs. Francisco Sendra Portero and Luis Fajre presented a poster about Radiologiavirtual. The Mexican Council of Radiology and Imaging grants 20 credits for recertification. The Visiting Professors 2014 program will be defined in the Annual Assembly in Chicago. Throughout September, all societies will receive the invitation to apply. Recent press reports have suggested that an increase in the incidence of thyroid cancer in women could be due to x-ray exposure during mammograms. These data have raised concerns among the population, giving rise to a large number of consults from patients who had been performed the mammographic screening, concerning possible ways to protect the thyroid gland. These alarming claims about a relationship between the increase of thyroid cancer and the mammogram not only are unfounded, but that they are also potentially harmful, as they may dissuade women to stop performing their annual mammographic studies. In the past 50 years, mammographic screening has become one of the most important advances for women's health. Since this annual check was started, the breast cancer death rate has been reduced by more than 30%. From the Interamerican College of Radiology (CIR) we believe that the dissemination of the actual doses the thyroid gland receives during a mammogram and the actual estimates of risk, based on these doses, help the radiological community appease and alleviate the concerns of patients about the risks that this study entails. 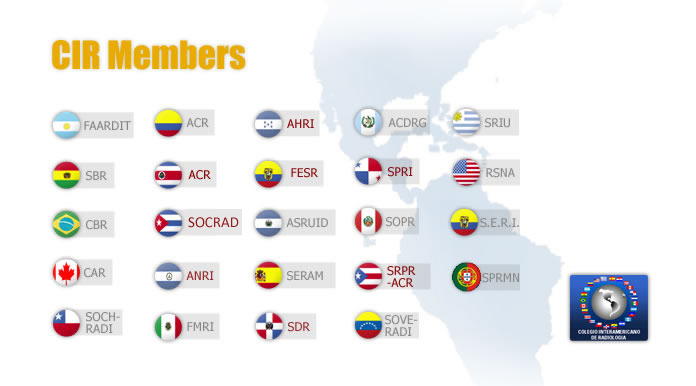 which is available thanks to CIR member countries. You can access the latest issue of the newsletter as well as the index of past issues. GO RAD is a new global outreach program developed by the International Society of Radiology. Its purpose is to achieve advanced radiology education throughout a global radiology community by adding current and practical radiology literature with content that is targeted and addressed to the developing nations and populations with scarce resources. We hope that you make the most of this program in order to improve everybody’s health and well-being. He was an Italian physician and academician (Milan, 1885-1959) who obtained the first chair of Radiology in Italy and founded the Italian Society of Medical Radiology. Although it is considered that the first Italian radiologist was Domenico D'Arman, who already in December 1895 began his experiments in the radiology field in his private office as soon as he heard the news of the Roentgen discovery, Felice Perussia is considered the father of radiology in Lombardy, a southern Italian region. In its capital, Milan, Perussia developed his career. He was the son of Augusto Perussia, a fervent socialist, and he graduated from Medical School at the University of Pavía, close to Milan, where he met his future wife, Emma Maggi, one of the few women who graduated from Medicine during the first years of the 20th century. He was professor of Medical pathology and Radiology, being the first one to obtain the first Chair of this discipline in his country in 1913. He was also the director of the National Institute for the study and treatment of tumors, based in Milan, and he transformed this center in a European reference point for the oncologic field. Many specialists would visit the center in order to learn the principles of radiological diagnosis and treatment of different types of tumors. Ahead of his own time, Perussia already considered the “problem of cancer as a human and social problem, rather than a problem of experimentation and clinical application”. The academic and scientific prestige of this institution has remained until today. In 1945 he became the first president by choice of the Universitá degli Studi de Milán, after the war and liberation, and he restored (though for a short period) the tradition of having physicians as presidents of said institution. This measure gave said institution more power and strength. His contribution was fundamental for its adaptation, by means of the necessary changes, to the new post war era. He was the main promoter of the creation of the SIRM (Società Italiana of Radiology Medical) in 1913. In 1914 he founded the magazine "La radiología médica" (the medical radiology), an organ of expression of said society. It was the first Italian magazine that published original scientific articles on radiological topics. 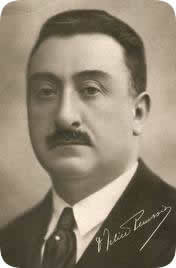 The editors that succeeded Perussia were radiologists of the stature of Arduino Ratti, Aldo Perussia and Lucio Di Gugliemo. In his memory, the “Felice Perussia” award was created for the best specialization thesis in Nuclear Medicine and Radiology. We look forward to your active participation, since all opinions or suggestions are welcomed. They are granted by the society in charge of the organization. They are addressed to CIR members who belong to other countries and who do not live in the country hosting the event. Requests should be sent to the CIR administration office.